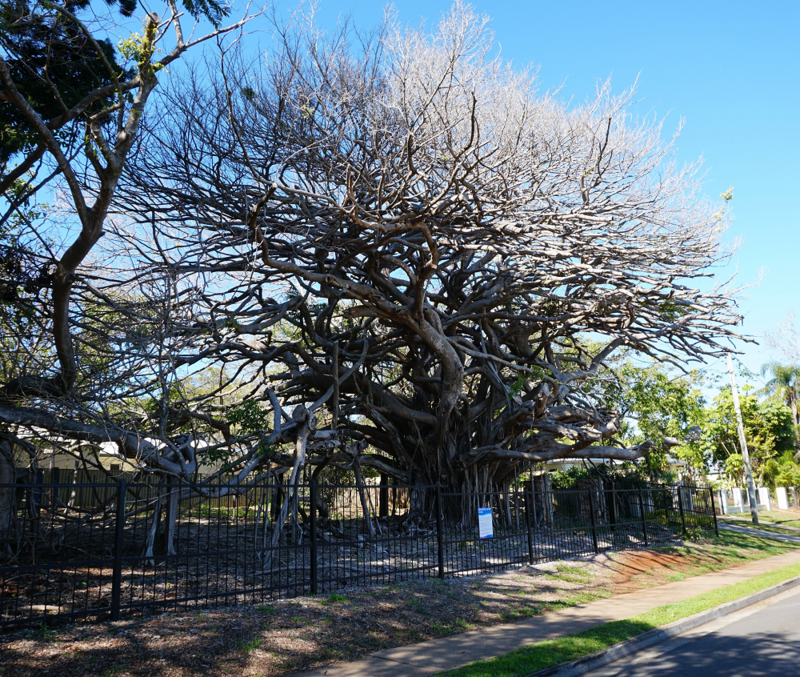 Redland City Council is working to save a 150 year old iconic fig tree in Ormiston which is declining in health. Redland City Mayor, Karen Williams said a team of arborists would undertake canopy reduction to help save the bulk of the tree at 143 Wellington Street, and prevent potential risk of dead limbs falling onto the public areas adjacent. “Redlands Coast already boasts a number of veteran trees for example, one in Redland Bay over 250 years old and another on Coochiemudlo Island over 600 years old, for which heritage listing is being sought,” Cr Williams said. Division 1 Councillor, Wendy Boglary said that Redlands heritage trees not only provide ecosystems for a variety of creatures but also give our City character and a link to our past. “Trees are a beautiful and vital part of the Redlands Coast landscape and their usefulness doesn’t diminish as they age,” she said. “Tree hollows formed over years and years are invaluable for wildlife providing refuge from the weather and predators, and safe sites for roosting and breeding. “This beautiful Ormiston fig tree is one of the original trees in the area dating back to the 1850s and it’s sad to see it struggling. “Council has been, and will do, all that is possible to save this treasured Ormiston specimen, while also maintaining public safety. “It will receive a much needed trim in the coming weeks using a Council contractor under the supervision of a consulting arborist,” Cr Boglary said. While there is no expected disruption to traffic, traffic control will be in place and we ask residents and visitors to be patient while this critical operation is performed.